Think of Croatia and you’ll think of many things. You’ll think of the turmoil the country has faced since its independence from Yugoslavia was declared in 1991, of which the repercussions are only beginning to fade. You’ll think of a warm Mediterranean climate and pristine sandy beaches and you’ll think of a country voted the most beautiful country in the world by National Geographic Magazine in 2005. You’ll think of many things, many sights, smells, and perceptions. What you may not immediately think of is Croatia’s vast wealth of natural wonders and resources. Measuring only 56,542 square kilometers, Croatia’s land mass nevertheless contains a staggering variety of climates, terrains, and wildlife. Though ranked among one of the smaller of the world’s countries, Croatia contains sights and experiences one would normally have to search for in the remotest parts of the world. Croatia can be divided into three main regions. 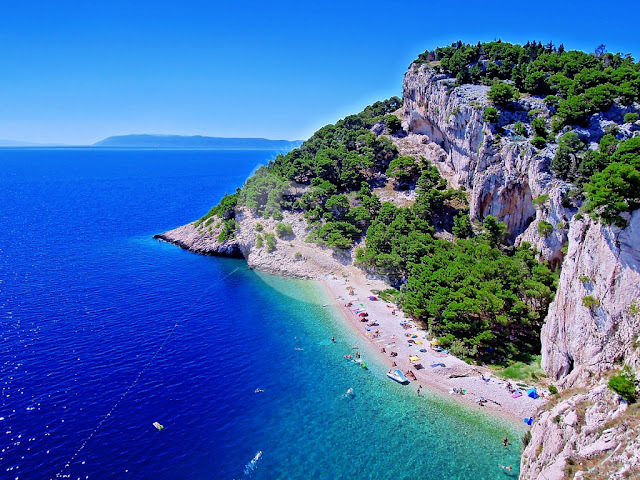 The coastal region is spread along the Mediterranean Sea at Croatia’s southwestern border. Traveling inland, one passes into the country’s mountainous region, with peaks ranging from 1,000 to 1,500 meters in height. The northeastern part of the country makes up the third region. A corner of the great Pannonian plain, this is the lowlands region of Croatia, a well-populated and fertile area of alluvial plains and forests of oaks that have grown there for centuries. Rivers wind through the lowlands, flowing along courses scribed in the earth over the ages. Ranked among Europe’s top five countries in terms of biodiversity, Croatia is now striving to protect its treasures. Divided into a total of 450 protected areas, a total 5,846 square kilometers are preserved – about 10% of Croatia’s total land mass. If you include maritime areas, the total rises to 6,129 square kilometers of protected wilderness – wilderness that will be preserved for future generations to enjoy just as we do now. Of those 450 protected areas, 79 are special reserves. These include many types, including botanical, forest, geomorphologic, hydrologic, ichthyologic, ornithologic, maritime, and zoologic – every aspect of nature’s realm is represented and protected. Of the remaining 371 zones, 38 are park forests, 70 are protected landscapes, 108 are monuments of nature (such as forests of rare tree species), and 135 are monuments of park architecture, containing such man-made shrines as arboreta, botanical gardens, and parks. Besides simple land area, Croatia’s conservation programs raise its shield over 777 individual species of animals, 44 types of plants, and over 150 species of mushroom. The main bastions are eight national parks, ten nature parks, and two strict reserves – taken together, these cover 994 square kilometers of protected territory. The Plitvice Lakes National Park is the oldest of Croatia’s national parks, created by the Parliament of the National Republic of Croatia in April of 1949. Because of the sheer natural beauty of the place, interest has been shown in protecting it for over a hundred years. In the 1920’s, scientists noticed a second reason to protect the place, a very complex biomechanical process in the plants of the area that results in the production of travertine, an architecturally valuable type of stone similar in composition and function to marble. In Plitvice, the travertine has built up over the centuries, creating sixteen natural dams that separate the lakes by gorgeous waterfalls that cascade over the pale stone into the brilliant turquoise lakes. When the value of this highly unusual configuration was realized, the first legal institution of the Lakes was set in place under the jurisdiction of the Financial Code in 1929. In 1997, 48 years after the parks were set in place, the region’s borders were expanded to include an additional 266 square kilometers. 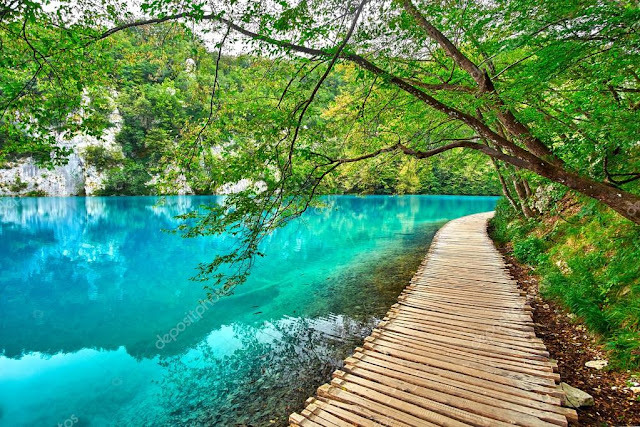 Plitvice is only one of ten areas, a microcosm of beauty in a country that contains beaches and mountains, islands and forests, rivers and lakes, springs and streams, vast plains and centuries-old ruins. Many countries may make claims of biological diversity, but Croatia doesn’t even have to argue. The truth, in this case, is self evident; for here nature has chosen to weave her tapestry with vast and vibrant threads of color.